"Multi-core support is in and quite nice. We all run Core Duo 6600's and 7950/8800, ati 1900 level cards." Gearbox Software has today filed a lawsuit against 3D Realms and Interceptor Entertainment for allegedly infringing on their Duke Nukem intellectual property rights and trademarks in producing 'Duke Nukem: Mass Destruction', a Duke Nukem title rumoured to be in development by Interceptor Entertainment with the involvment of 3D Realms, without any permission granted to either party by Gearbox Software or any legal right do to so granted to either party in the 2010 asset purchase agreement for the Duke Nukem intellectual property. This case stems from efforts to illegally exploit Gearbox’s intellectual property rights in the Duke Nukem video game franchise. Specifically, Defendants Interceptor and 3DR have colluded to misappropriate and make infringing use of the Duke Nukem trademarks and copyrights owned by Gearbox. 'Exhibit C' of the filed complaint seems to discuss elements of the asset purchase agreement including 3D Realms retaining of the rights to several Duke Nukem titles that were in development at the time of the asset purchase by Gearbox Software that seem to include the Duke Nukem Trilogy that was in production by Apogee Software, LLC. at the time and another prior to now unheard of Duke Nukem game entitled 'Survivor'. 3D Realms claim that 'Duke Nukem: Survivor', title that they previously held the rights to under the asset purchase agreement, is the same as the 'Duke Nukem: Mass Destruction' title, simply using a different name, that was allegedly in development by Interceptor Entertainment and is the cause of the filed complaint against Interceptor Entertainment and 3D Realms. Recently—and without consulting the Duke IP’s actual owner, Gearbox— Interceptor announced its intent to develop a Duke Nukem game based upon the variouscharacters, content and intellectual property owned by Gearbox; the proposed game is entitled “Duke Nukem: Mass Destruction.” Apparently, after selling its Duke Nukem IP rights to Gearbox in 2010, 3DR sought to privately convince others that the sale never happened. The result is the unauthorized development effort that reportedly exists between 3DR and Interceptor. 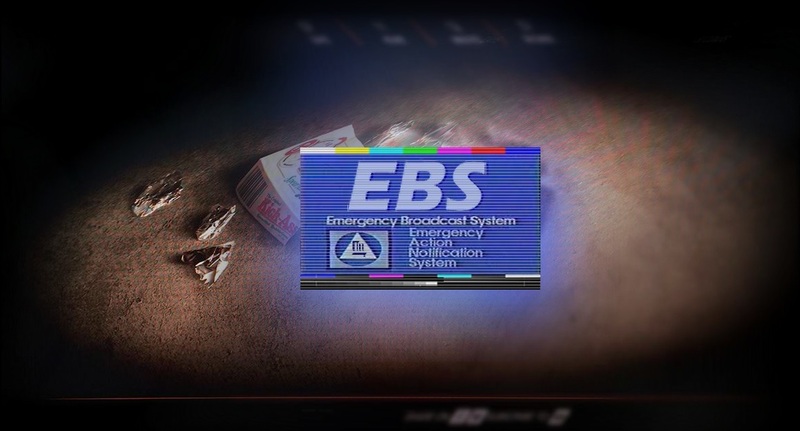 Meanwhile the 'All Out Of Gum' teaser website discovered earlier this month that previously displayed a countdown has been updated to display an 'Emergency Broadcast System' announcement accompanied by background audio that sounds reminicient of a scene from a science fiction film.